Released in late 2011, Dead Island debuted to much hype because of its stunning trailer. Many players waited for the same gameplay and off-scale drama that the groundbreaking trailer exemplified. But the reality was far more prosaic. This was a marketing move, and had nothing in common with the game itself. 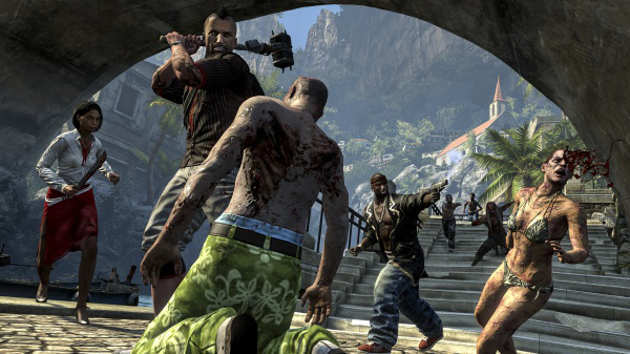 Dead Island was a brutal, bloody action game, where the only priority was to destroy zombies with any materials at hand. No need to say that the plot and characters played only a minor role in all this carnage. However, this fact did not stop Dead Island from finding its fans and selling 5 million copies. But all those players who wanted to see drama in zombie apocalypse decorations has got it a year later from other developers. In its essence, Dead Island: Riptide is the attempt of Polish studio Techland to show the world what the original game should have looked like: improved, with no bugs and other irregularities that plagued many gamers to fully enjoy the survival on the cursed island. To say it briefly, the developers promise us almost a “perfect Dead Island” with all the ensuing consequences. Only the absence of major gameplay changes hasn’t allowed them to add a number “2” to the title. At the same time, the amount of in-game content increases so much that you will unlikely call Riptide a simple addition. 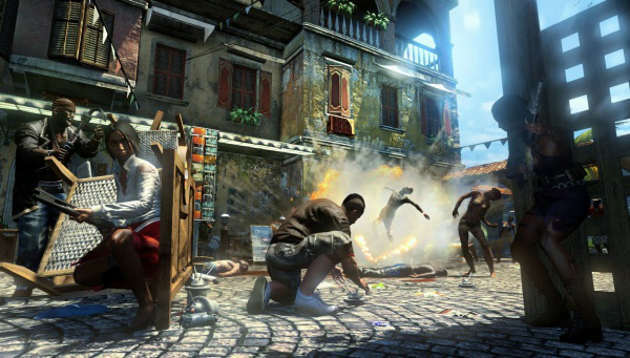 Dead Island: Riptide will continue the story of familiar characters established in the first game. Four survivors safely landed on the deck of a warship, but a nasty surprise waited for them instead of peace and respite. Not only did the military give them a very cold reception, but the nightmare from which they tried to escape from reached them again. The deadly infection that gives birth to zombies entered the ship, and soon the whole crew became infected. Enveloped by chaos and storm, the ship eventually loses control and crashes near a new tropical island. Fate decided to play a cruel joke with the characters, having returned them to the usual decorations. Palanai, the setting of Riptide, looks uncannily like the island Banoi from the previous game: the same beaches, sea, sun and sand, and the walking dead out there, no less. Techland has stated that the new island will still have some distinctive features, such as the abundance of flooded spaces. The fact is that Palanai was badly damaged by monsoon rains. Even the island’s lone city, Henderson, was unable to avoid this natural disaster. Incessant rains have turned the tropics into a swamp, so the only convenient way to travel will be via boat. If you felt invincible in a car back in Dead Island and could scoff zombies as you wanted, that won’t work with a flimsy motorboat this time. In Riptide, the infected learn to cling aboard, interfere with your movements, and try to get inside. To avoid becoming an easy target, it is necessary to bat them down with oars or whatever makeshift weapons you could find. A bat studded with nails or a sharpened machete will be very useful in such moments. Water will interfere with players greatly, while the living dead do not experience any discomfort of being in it. The developers decided to add a dynamic system of weather change to the game. For example, a heavy rain may suddenly appear, and it will be difficult for you to even see. A zombie may suddenly jump out of this rainy wall and attack you with its heartbreaking cries. Walking through knee-deep water slows all your movements down, and a ghoul in the river will definitely choose the worst possible moment to catch hold of your heel. These are just small tricks of the ordinary infected, and you’ll get used to them eventually. But don’t forget about new zombies species too! As for now, the developers mentioned only a couple of new freaks: Grenadiers and Wrestlers. The former are covered with terrible abscesses, and they use them as grenades. Tearing away a hefty chunk of itself, a zombie will throw it straight in the direction of the players, and the explosion won’t be possible to avoid. But everything is much easier with a Wrestler. This is a massive, hulking thug with a hefty hypertrophied hand. He will shake the ground with his club and knock out anyone who comes too close. Gamers who are familiar with zombie invasions will find themselves in a familiar situation: the army of evil dead around and only one vague goal – to survive at any cost. And as we know, the easiest way to survive is a good company. Just like its predecessor, Riptide will be primarily designed for cooperation. You will have a great opportunity to gather a good team and go into a tropical hell once again. Moreover, the developers allow you to import all the characters you played as from the previous game. All those players who prefer playing alone, or newbies who are just beginning their acquaintance with the series, won’t be left without attention too. They will be able to test a new character – John Morgan. John was a cook aboard the aforementioned military ship and joined the four survivors after the wreck. In general, he’s a really good guy: professional military, and a martial arts master. 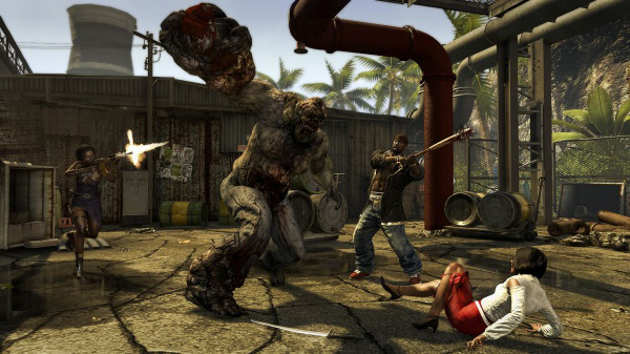 Dead Island: Riptide follows in the footsteps of the original game, and looks as if it just might a better experience. The landing on a tropical island will be held on April 26. Have a good time with friends and zombies! This article was provided by Alex Strike, a copywriter of writing-help.com. He is a passionate gamer who can’t live without his Xbox 360.